DWI Law in Texas - First Offense: What’s the Penalty? If you or a family member are a first-time DWI offender, you should know the status of such offenders in Texas. First, you should know that the state of Texas takes drunk driving crimes very seriously, even for first offenders. Indeed, laws are tough for intoxication offenses. Under Texas drunk driving laws, driving while intoxicated (DWI) — also known as driving under the influence (DUI) in other states — means a driver as a blood alcohol content or breathalyzer alcohol content (BAC) of at least .08. The severity of the punishment for DWI, even a first-time offense, depends on how intoxicated the driver is. A first-offense conviction for drunk driving with a BAC of .08 to .14 is known as a Class B misdemeanor. That crime brings a possible jail sentence of three to 180 days, and a possible fine of up to $2,000. You generally can expect to spend at least three days in jail. Also, the offender’s Texas driver’s license can be suspended for 90 days to 365 days. The offender may be required to pay a fine of $1,000 to $2,000 per year for three years to retain their driver’s license after their TDL suspension ends. An alternate possibility for first-time DWI offenders is gaining probation or providing community service instead of serving jail time. An aggressive DWI defense lawyer for Houston, Harris County, Montgomery County and Fort Bend County can fight for your right to seek such alternatives and avoid jail. If the first-time offender had a BAC of .15 or greater, the possible jail time can increase to one year in county jail, and the fine can increase to up to $4,000. Also, a driver’s license can be suspended for 180 days to two years, and installation of an ignition interlock device on a vehicle may be required when driving is allowed again. This DWI offense is known as a Class A misdemeanor, which is the same classification as a second offense for mild intoxication DWI. Thus, having a high BAC of .15 or more for a first offense is just as bad as having a second offense for drunk driving with a lower BAC of .08 to .14. In addition to the driver’s level of intoxication, other variables and factors can make a DWI offense worse, even for first-time offenders. For instance, if you seriously injure someone in a vehicle collision, that offense is known as intoxication assault, even for a first-time offender. This crime is a third degree felony with a fine of up to $10,000 and a jail sentence of two to 10 years. Even worse, if you kill someone due to driving drunk in Texas, the offense becomes intoxication manslaughter. That crime is a second-degree felony with a fine of up to $10,000 and jail sentence of two to 20 years. Also, if anyone, including first-time DWI offenders, is stopped while driving drunk with a child under 15 years old in the vehicle — even their own son or daughter — the offense becomes a felony. In this case, the punishment is 180 to two years in jail and a fine of up to $10,000. On the plus side, there are options and defense strategies for first-time DWI offenders in Texas. For instance, first-time offenders with a BAC of .08 to .14 can apply for non-disclosure of their crime two years after their probation ends. This means there would be restrictions on who could view your criminal record. However, such offenders must also install an ignition interlock device on their vehicle and maintain that for six months. As you can see, drunk driving in Texas is a serious offense, even for first-time offenders. That’s why you need an experienced Texas DWI defense lawyer if you or a loved one faces such a charge. 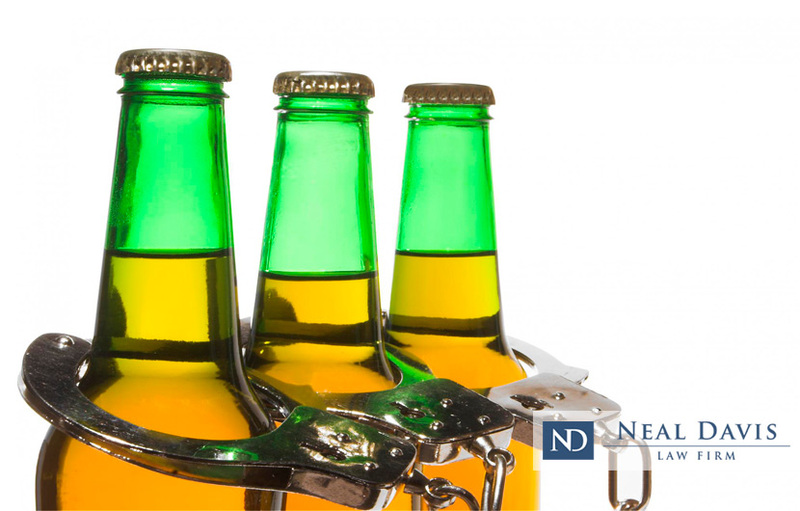 Contact the Neal Davis Law Firm today, and we’ll provide you a free (and no-obligation) legal review of your DWI case.